It is never a loving gesture or requirement to overrule someone’s sense of direction or identity. Each person has an individual spiritual identity. It wants to be expressed. It will keep trying because it is an inexorable fact of that person’s existence. 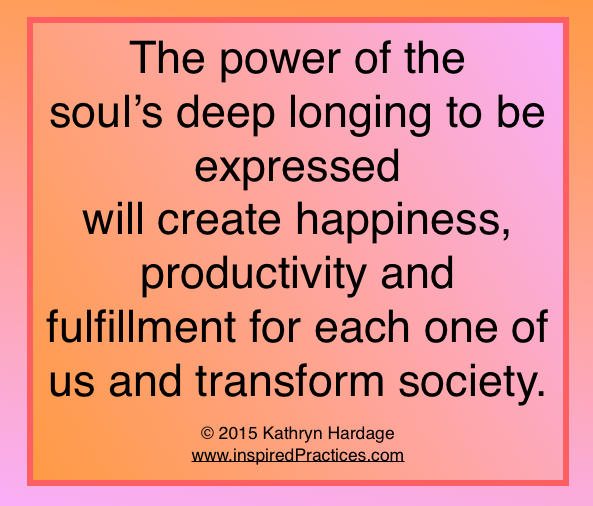 Where it does come through to expression, the person is happy productive and fulfilled. Where it is prevented from coming through to expression, there is unhappiness, frustration, and perhaps, even violence. We must listen not only to our own soul, but also respect the guidance our children and students are receiving and honor it. We must encourage the social justice and equality that will translate to utilize all our resources, both spiritual and manifested, to uplift all of society. 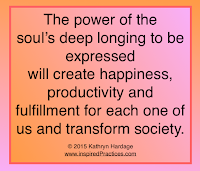 Then we will see happiness, productivity and fulfillment on an unimagined scale which will be self-perpetuating as long as we honor and respect the fact and right of the soul’s deep longing to be expressed. This approach will create the tools of expression both for individuals and for all of society.